Strathaven School of Taekwon-Do practice original and authentic Taekwon-Do created by its founder, Major General Choi Hong Hi. Taekwon-Do was Inaugurated in 1955 after extensive research by its founder and was introduced to the UK in 1967. At Strathaven School of Taekwon-Do we are dedicated to teaching and promoting authentic Taekwon-Do according to the teachings of its Founder. The school and its Instructors are recognised by the International Taekwon-Do Federation (ITF) through its affiliation to Taekwon-Do United Kingdom (T-UK). The ITF was founded in 1966 by Gen Choi to promote the teaching of authentic Taekwon-Do worldwide. 1955 signaled the beginning of Taekwon-​Do as a formally recognized art in Korea. During that year, a special board was formed which included leading master instructors, historians, and prominent leaders of society. A number of names for the new martial art were submitted. On the 11th of April, the board summoned by Gen. Choi Hong Hi, decided on the name of Taekwon-​Do which had been submitted by him. This single unified name of Taekwon-​Do replaced the different and confusing terms; Dang Soo, Gong Soo, Taek Kyon, Kwon Bup, etc. If you compete in both events then your entry for Interclub 3 will be reduced to half price. Master Hutton is hosting a seminar with Stephen Tapilatu and Tomaz Barada 2 of the ITF's most respected and influential fighters and coaches. These seminars are being hosted over 2 days with seperate events for black belts and colour belt students. Any Strathaven students wishing to participate make their intention known so as to arrange for their place on the course. For everybody studying authentic Taekwon-Do. There is an app available for Apple and Android devices to assist you to learn your theory for your grading exams. 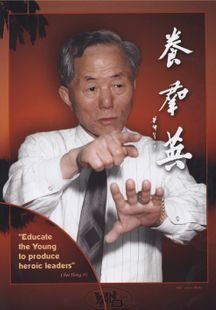 See First Grandmaster Rhee Ki Ha IX Degree perform the fist 9 patterns. Listen to how he pronounces each technique in Korean. A highly recommended little app. You get 4 Directional punch, 4 Directional Blaock and Chon-Ji free, and for less than £3 you can unlock all patterns from Dan-Gun to Choong Moo. T-UK will be hosting its Scottish Championships on Saturday the 17th of May in Meadowbank Arena Edinburgh. This event will have competitors competing in Sparring, Patterns, Special Technique & Power Test. Due to popular demand there will be another sparring seminar by Stephen Tapilatu V Degree the evening before the championships. The ITF Scottish Championships are scheduled to take place on the 2nd of March 2014 @ Ravenscraig. Cost of entry £25 per competitor. Part 1 of the ScotiaTKD Interclub championships will be held in Blackburn community centre on the 9th of march. As always this event involves Sparring, patterns & Special Technique for juniors. Adults will compete in Sparring & Patterns. The Technical course is mandatory for all members wishing to sit the Black Belt Grading. This technical course is open to blue belt and above and covers all colour belt patterns in great detail, set sparring and the finer technical details of performing Taekwon-Do technique properly. The 2014 events have now been posted on the Taekwon-Do United Kingdom Association website. Please note that the Hosinsul Courses, Umpires Courses and Technical Courses are COMPULSORY for anyone wishing to be presented for examination for 1st Degree and above. All Students at Bellshill & Strathaven are asked that they take note of the ScotiaTKD Inter-Club dates. We expect EVERYONE to participate in the ScotiaTKD Inter-Club Championships in 2014 and are essential for personal development in preparation for grading exams for grades above 4th Gup. We were very fortunate that every member of the School was able to come with at least a Gold or Silver Medal in at least one discipline. The ITF Recognition Plaque takes the shape of a turtle which signifies longevity, the 6 colours represent the colours of the belts. In keeping with local and national child protection legislation all instructors and assistants are required to attend training in Child Protection and undergo screening by Disclosure Scotland prior to taking up the above positions. All instructors and their assistants receive certification confirming their eligibility to teach Taekwon-Do and their suitability in working with children and vulnerable adults. All children and young people in Lanarkshire have the right to be cared for and protected from abuse and harm in a safe environment in which their rights are respected. All agencies will work together in a collaborative way to promote the safety and well-being of children and young people in Lanarkshire. The chief officers and child protection committees of North and South Lanarkshire are the driving force for ensuring that agencies individually and collectively work together in protecting children and young people as effectively as possible.